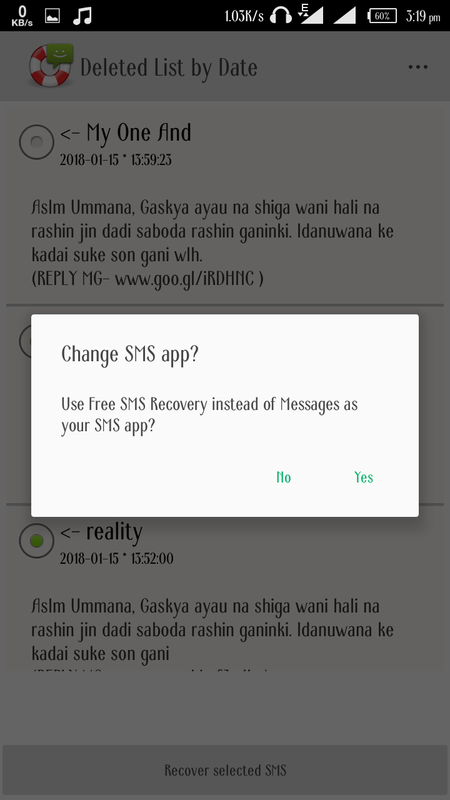 This App will help you recover your deleted short messages directly from your phone after messages are deleted from inside the sms application. 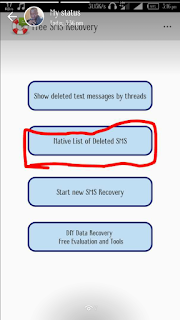 To Recover Deleted SMS Text Messages On Your Phone Follow The Procedures Below. 2. After downloading the App, open it and grand for root access if you are already rooted. 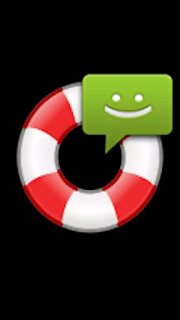 Deep SMS recovery is possible with root access. 3. 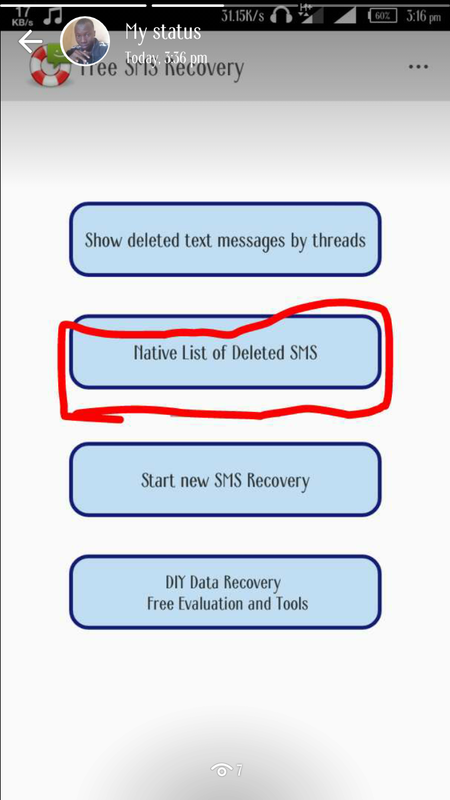 Then goto NATIVE LIST OF DELETED SMS and click on it. 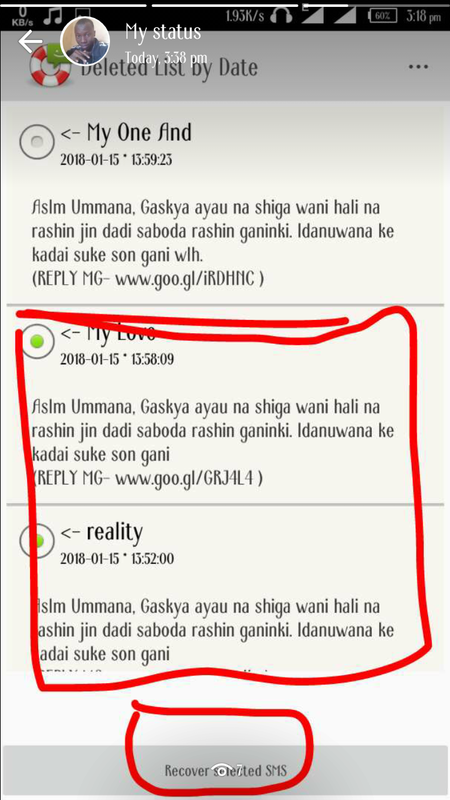 You will see all your deleted SMS their. 5. 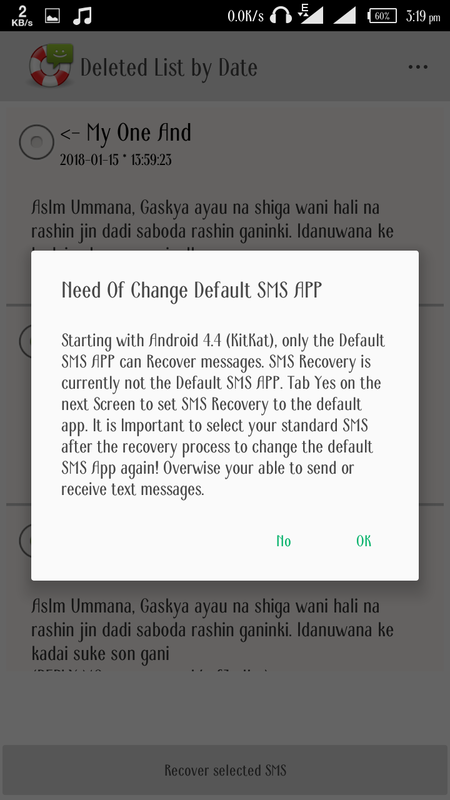 After that, click on recover deleted SMS. It will ask you for some permissions, Set it as the screenshots below. 6. 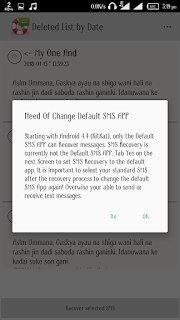 Then your deleted SMS will be recovered successfully. 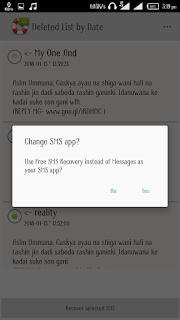 Note:- The SMS recovery App must be installed when the message deleted before recoverying.